When it comes to roofing, people often wonder which type is the best type for their home. We’re not in the habit of recommending one type of roof for all homes – we find that each home has different needs and there are different variables at play - but metal roofing can be a great option. Metal roofs offer many benefits to a home, especially if they are reflective. A reflective metal roof can save your home about 40% in cooling energy costs during the summer months, something that is important to Austinites dealing with the sun and heat. They can also reduce urban air temperatures by as much as 12 degrees Fahrenheit. A metal roof saves energy based on its variety of finishes. A regular and unpainted metal roof can reflect much of the solar radiation absorbed in your attic and home better than an asphalt roof can. If you pre-paint or granular coat your metal roof – this is suggested in warmer climates such as Central Texas – you can not only reflect solar energy, but also cool your home by re-emitting the absorbed solar radiation back into the atmosphere. A highly reflective metal roof can reduce energy consumption and re-emit up to 90% of the absorbed solar radiation. The metal roof can also be installed over an asphalt roof, which reduces landfill waste and promotes quick installation. It also provides extra insulation to your home. A big bonus with metal roofing is that you can get decades of maintenance-free usage from them. Metal roofs are recyclable as well as made of recyclable materials, making them an environmentally responsible roofing option. Many metal roofs contain up to 40 percent recycled steels. The roof itself is 100 percent recyclable. Since dark colors absorb more solar radiation than light ones, it’s recommended that you paint your metal roof a light color. Switching to a white or light-colored metal roof can reduce energy spending up to 20 percent and makes your home naturally about 50 or 60 degrees cooler than a more conventional dark-colored roof would. A metal roof will last longer and is more durable than many other types of roofing, meaning metal roofs have a significantly longer lifespan than other types of roofing. They tend to last two to three times longer than asphalt shingles, one of the most popular types of roofing. Metal roofs are malleable and can be pressed and shaped without cracking or breaking. They can last up to 60 years (or longer, in some cases). A metal roof will offer you significant savings in roofing repair and replacement. Metal is indeed more expensive than other types of roofing materials. It can be between $150 to $600 more per 100 square feet than other materials but it also adds value to your structure and, should you decide to sell, allows you to sell for a higher price than if you had another type of roof. Even among the different metals, there are price differences: copper and stainless steel are the most expensive, with aluminum being more affordable and steel alloy being the most economical of all. What do you want your roof to look like? Steel or aluminum roofs can be painted just about any color and they can complement the look of your home or building. Stainless steel leaves you with a shiny finish and can look great on modern structures. Copper has a rich, natural finish and changes color over time. You should think hard about how the different types of materials will look and work with your existing design. Painted metal may need work every few years to maintain its appearance. Stainless steel and copper, so long as you don’t mind the deepening of the color, can be pretty much left alone for many years. If you don’t like the copper changing color, you’ll have to maintain it every few years to make sure it stays shiny and bright. A metal roof will offer protection against the elements for the most part. Metal roofing will not burn or support combustion, making it a good roof to have in case of fire. Experience has shown that metal roofs perform best under windy conditions and tend to stay put in the case of hurricanes and tornadoes. Metal is immune to water absorption and most metal roofs will not be damaged by hail. If a metal roof is properly designed and installed, it can help you save money on your energy bill. There are metal roofs that include insulation underlaying and special reflective coatings to deflect solar radiation. If you use those types of materials in your roof, you could keep your attic cooler in the summer and warmer in the winter. This will reduce your energy consumption and make your bill lighter, helping to offset the price of the roof itself. This is not true. Metal does conduct electricity, but it does not attract it. Metal roofs are actually safer than other types of roofing during a light storm because metal isn’t combustible. Additionally, lightning hardly ever strikes buildings. It’s drawn to the tallest object in an area. A tree is more likely to be hit by lightning than your home - same with power lines, antennas and towers. Believe it or not, metal roofing is often quieter than asphalt-shingle roofs. When installed with solid sheathing, metal roofs can actually silence noise from rain, hail and bad weather better than other roofing materials do. Also, because the existing roofing material is not usually removed when installing a metal roof, it acts as a buffer for sound. Very large hailstones can actually damage a metal roof. However, normal-sized hail will not. With a textured roof, minor denting is even less readily visible, so a metal roof is a good choice for areas with lots of hail storms. Metal roofs can actually handle decades of abuse from extreme weather. Systems in usage today also have a 120-mph wind rating, which is equal to an F2 tornado. This means your metal roof is also safe from wind gusts that accompany hail storms. Today’s metal roofs are built to last for a long time. 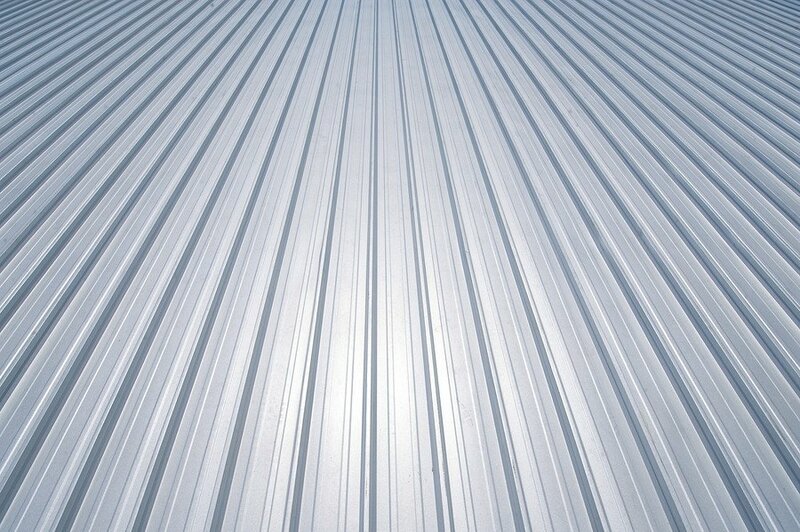 For example, steel roofing has a metallic coating made of zinc or a combo of zinc and aluminum. This coating, which is bonded to the steel at the factory, prevents rust from forming. Paint is then applied over the coating to provide long-lasting color that homeowners will love. Metal roofs are actually full of beautiful variety. It can look like shingle, clay tile, cedar or slate, and it lasts two to three times longer than those types. Metal roofs are strong and don’t deteriorate in the sun or other weather conditions that Mother Nature can dish out. They are energy efficient and metal roofing in a light color actually cools your home in summer and insulates your home in winter. Finally, their warranties are very long, usually lasting 30 – 50 years. Metal roofs have many environmental benefits, not the least of which is your energy bill savings. We suggest you consider a metal roof when looking into your next Austin-area roofing project. At 21st Century Texas, we are happy to help you decide what’s best for you. Give us a call today at 512-219-0342 and see if we can’t help you install your new roof.